This doesn't happen very often, but it occurred twice recently--reviews of anesthesia books. The first one was in the Wall Street Journal. 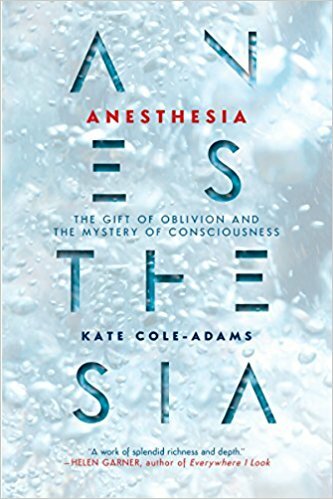 "Anesthesia, The Gift of Oblivion and the Mystery of Consciousness" by Kate Cole-Adams seems to linger on the issue of intraop awareness. The author relates horror stories of patients who are wide awake during surgery and can feel everything. As if that's not bad enough, Ms. Cole-Adams writes about subconscious awareness during surgery. These patients don't remember anything when they wake up from anesthesia but under hypnosis, they are able to recount words spoken by the OR staff while they are anesthetized. Though the review was published two weeks ago, it just recently prompted a response from James Grant, MD, president of the ASA. You can read it in the published comments at the bottom of the article and also here on the ASA website. Naturally he defends anesthesiologists as diligent physicians who are looking after the patients' best interests and that any surgical recall is extremely rare, occurring in about one in ten thousand cases. 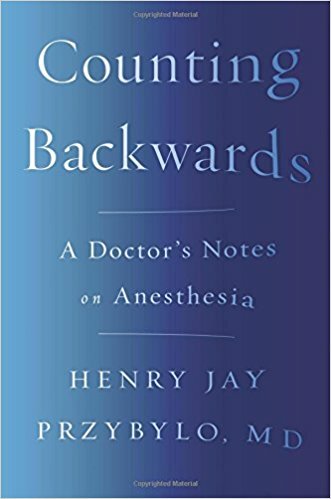 The New York Times also reviewed the same book from Ms. Cole-Adams but it also reviewed a second book, "Counting Backwards, A Doctor's Notes on Anesthesia," by Henry Jay Przbylo. This review was written by a neurosurgeon/author and is much more sympathetic to anesthesiologists than the WSJ article. Dr. Przbylo is an anesthesiologist and he relates the history of anesthesia and how it has evolved. He uses the standard analogy of anesthesia as being similar to flying in an airplane. Most of the time the flight is uncomplicated and routine. Occasionally it can be harrowing and rarely fatal. But there is nothing the patient/flyer can do about it except lean back and enjoy the ride. There you have it. Two books about anesthesia, one more sensational while the other one probably more educational and enlightening. Start off your new year right by reading two books about your profession instead of binge watching another season of "Game of Thrones." You'll feel better equipped to answer questions from your patients when they confront you about the fears of anesthesia.